The draft order for the 2016 NLL entry draft was released on Friday. 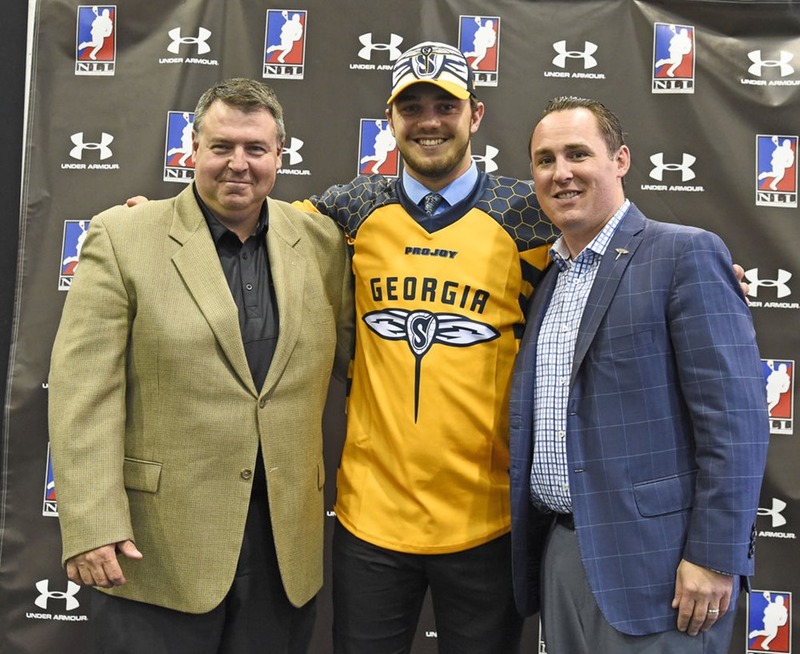 The defending champion Saskatchewan Rush have three first round picks, including two of the top three. Talk about the rich getting richer. You might think the Vancouver Stealth or Toronto Rock might have the first overall pick since they finished last in their divisions. Normally, you’d be right but the Stealth traded that pick for Corey Small. The Rock do pick second overall and the Stealth pick first in the second round. You might also think that so many first round picks would be a great thing for any team but there’s a bit of a problem. In order to have room for the new guys, the Rush will have to drop some players from the existing lineup. Given that they won the last two Championships, there isn’t a lot of deadwood around to get rid of. Make no mistake, this is a much better problem to have than, say, finishing last and having no first round picks at all. But it’s going to be a lot of work for Derek Keenan and his staff trying to figure out what to do with all of these great players. From a Rush perspective, it might be nice if they could defer those top picks to a future year. Of course, there’s no mechanism to do that. So maybe they could try to trade this year’s first overall pick to someone else for next year’s first overall pick. But they can’t guarantee that; the best they could do is trade their pick for someone else’s first round pick, which can be quite different than the first overall pick. What they might be able to do is find a team who might want a first round pick now and offer them the 9th overall pick in exchange for that team’s first round pick in the 2017 or 2018 draft. Since this is the last pick in the first round, the Rush might have to throw in another, a second or third rounder maybe, to sweeten the deal a little. Obviously a team would have to have a first round pick for 2017 or 2018 available to trade, which immediately removes the Stealth from the picture. In Major League Baseball, the players drafted generally don’t even make it to the majors for several years. In the NHL and NBA, drafted players get to the big leagues much faster. Guys like LeBron James and John Tavares (no not that one, the other one) can have an immediate impact on their teams as rookies, but mostly it takes a year or two before the impacts are really felt. And then there’s the NLL. In the 2016 season, every player drafted in the first round of the previous draft not only played but had a significant impact on his team. Randy Staats led his team in scoring, Jesse King and Wesley Berg finished third on their teams, and Chad Tutton and Graeme Hossack are already considered among the top transition players and defenders in the league. Of the twelve players drafted in the second round, only two didn’t play in a game and some second rounders like Anthony Malcom, Mitch de Snoo, and Jordan Durston played almost every game. But the 2015 draft was one of the deepest ever so it’s not surprising that 19 of the top 20 players made it to the show right away. If the 2016 draft isn’t quite as deep, Keenan may not have a problem drafting someone and trading him for a future first round pick. We all know that Derek Keenan is one of the best GMs in the league so I’m anxiously awaiting his undoubtedly clever solution to this “problem”.